Do you agree with this quote- “Give a girl the right shoes and she can conquer the world” by Marilyn Monroe? I do! 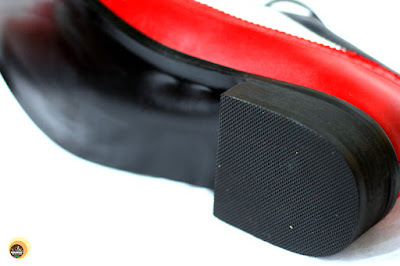 But finding a perfect pair of footwear that is lightweight, comfy as well as stylish can be such a task. 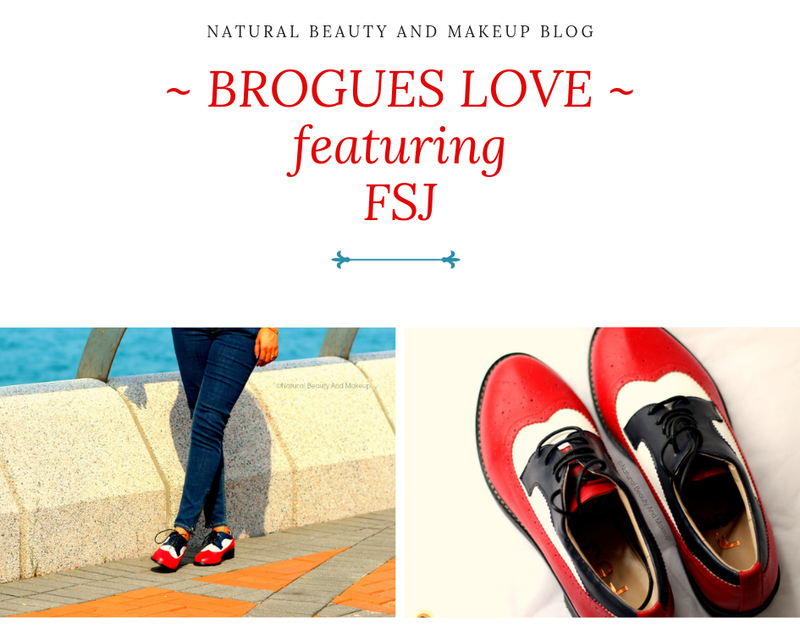 Well, I was recently approached by FSJ brand to try out their uber-cool full brogue women oxfords and share my views on them. To know more about these Women's Oxford Patch-Color Lace Up Flat Vintage Shoes, and why you should check out fsjshoes.com right away, keep scrolling down! Gone are the days when we used to wait for the festive season to buy shoes at a discounted price and visit the local stores for the same. 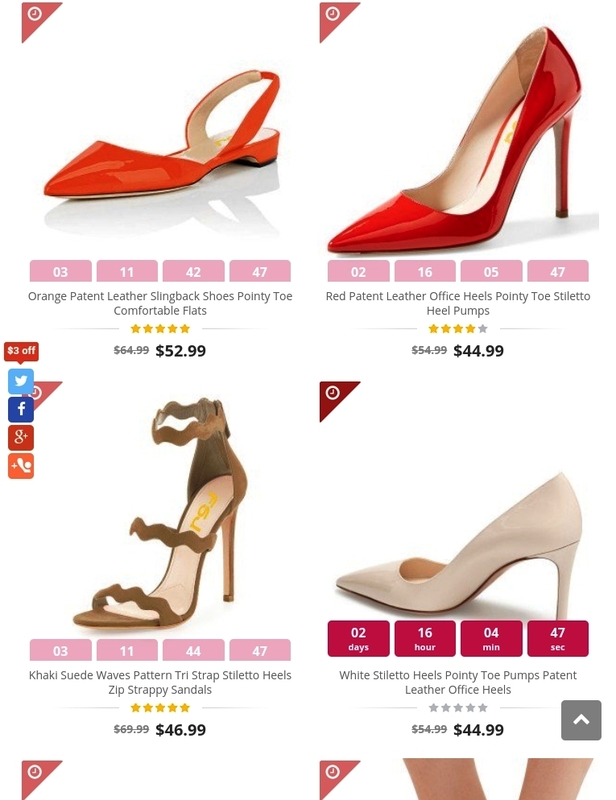 Thanks to the online shopping sites boasting fantastic product collection and their year-round lucrative offers, we don’t have to wait any longer and can order anything of our choice including shoes comfortably from our home. In-store shopping is a thing of the past, friends! So keeping online shopping in mind let me introduce a fantastic footwear site- Funny She Jill (FSJ) to you all, whose aim is to help women realize their dream of fashion and pursuit of quality. 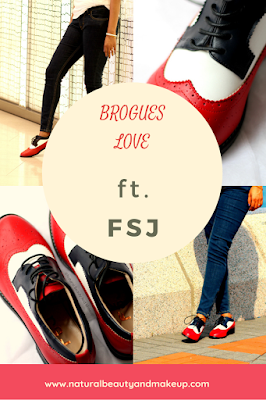 Well, I received these sophisticated stitching color vintage women’s Oxford flat lace-up shoes with full brogue detailing from FSJ. The kind of shoes that I have been eyeing for a while! Shipping time: Within 15 days. 30 days return policy. Today, I am not going into the general details oxford brogues or how to style them as I will try to cover this in another blog post soon. However they are classic, fashionable and durable, so you must invest in a good pair of brogues! If you are wondering why these shoes are known as Brogues then simply put, Brogue shoe is nothing but any shoe (be it an Oxford or Derby) with heavy decorative perforations or broguing. The shoes came nicely packed in a medium-sized carton within two weeks of placing my order. The shipping is pretty fast, I must say. 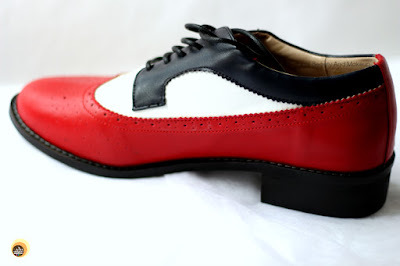 FSJ vintage style women leather oxford shoes are low-heeled, triple-toned/multi-coloured, and features brogue detailing. They are available in other colours as well but I received in bright red and white contrasting colours with a little touch of black on the lace panel. FSJ women’s full brogue oxfords are sturdy, provided with a cushioned footbed and are made from synthetic leather material. If you are a cruelty-free product user then you may like to check them out! These have lightweight anti-slip rubber soles as well. Since this was my first online footwear order, I was apprehensive about its fitting and all. However these shoes fit true to my size, I wear a women’s size 38 (in EUR). I followed their size chart given on the website and ordered these shoes. I was amused to find that these fit & match according to their size chart and look exactly like the featured photo on the FSJ website. Score! 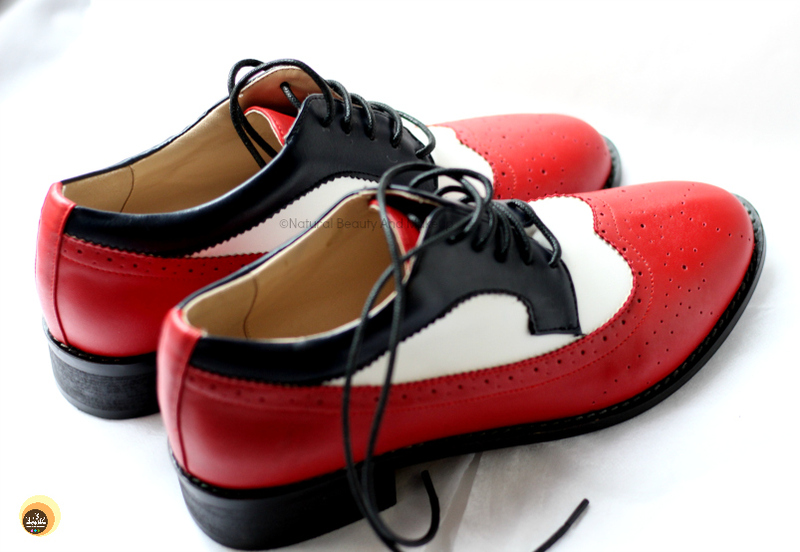 These oxfords look super funky and stylish. Though the broguing detail and the bright colour of these shoes restrict them to be formal wear, they are ultimate fashion accessories to elevate your casual style! They feel lightweight and comfortable also. I took a lot of time to review this product as I wanted to walk a lot wearing these shoes before jumping into any conclusion. I want my shoes to be super comfy during travelling or outdoor activities. Every time I try a new pair of enclosed shoes (flats/heels) blisters form on my ankle bone area due to friction! I try to keep my feet moisturized and wear socks to avoid this issue. The same thing initially I faced with these shoes as well. 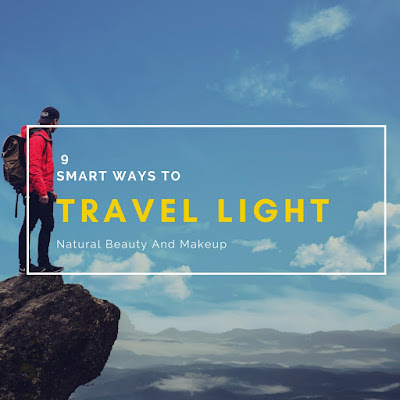 As they are not provided with any ankle-padded support, I would suggest wearing socks with them for the initial few days otherwise it may hurt your skin around the heels. Now after wearing them for a couple of days, my feet are absolutely enjoying these shoes! Hence I give them 4.9/5 stars!! These photos were taken last weekend at Tamar Park, Admiralty, Hong Kong. We went to Tamar Park for a short walk to see the display of Hong Kong Sevens’ Huge Rugby ball replica there. I sported my go-to simple casual Tomboyish look and of course, those shoes! Why You Should Check Out FSJ Website? Let me explain why you should head over to this footwear site and place your order! I am sharing my top 6 reasons to do that, go through these points and then let me know your thoughts. 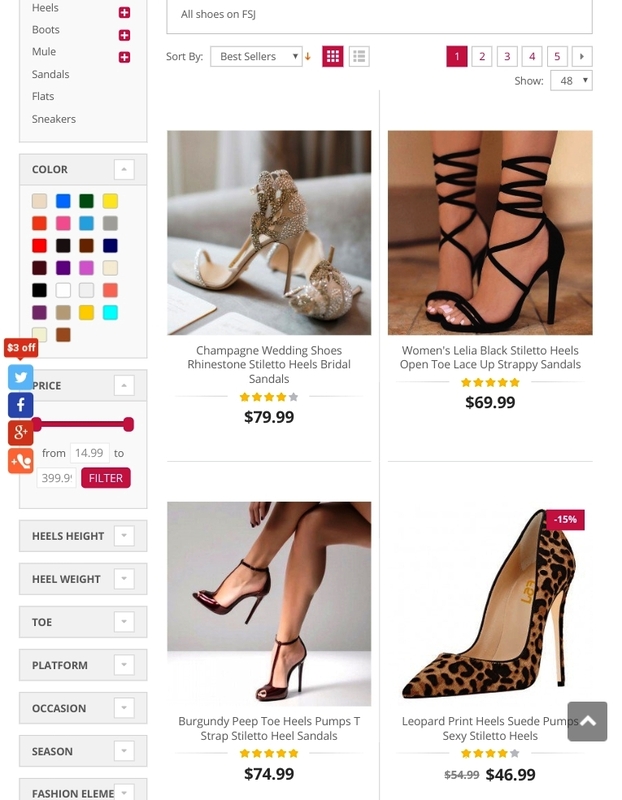 Website Details: Personally, I am fond of shopping websites that are easy to navigate, visually appealing and feature eye-catching, high-quality products. FSJ website is fully streamlined. It has dedicated segments rather series for all variety of shoes which eases the job of sorting out our favourite products quickly. Also, I must mention their efficient customer service and fast shipping. My parcel was delivered on time and in perfect condition. 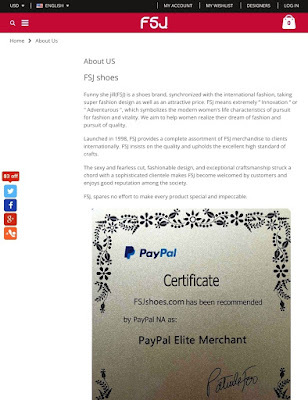 Footwear Collection: FSJ website offers the most fashionable footwear collection suitable for every occasion. Looking for trendy bridesmaid shoes or prom day special sparkly shoes? You must check out their dedicated Shoe Series wherein the range varies from Classic to Statement to Sporty shoes catering the footwear needs of all fashionable souls. Coming to the Oxfords/Brogues, you can find them in a host of modern styles and types like flats, heeled, lace-up, sleep-on, neutral and leathers, that too hand-crafted! Quality: From my personal experience with their product, I would say, yes they provide good quality footwear to their customers. 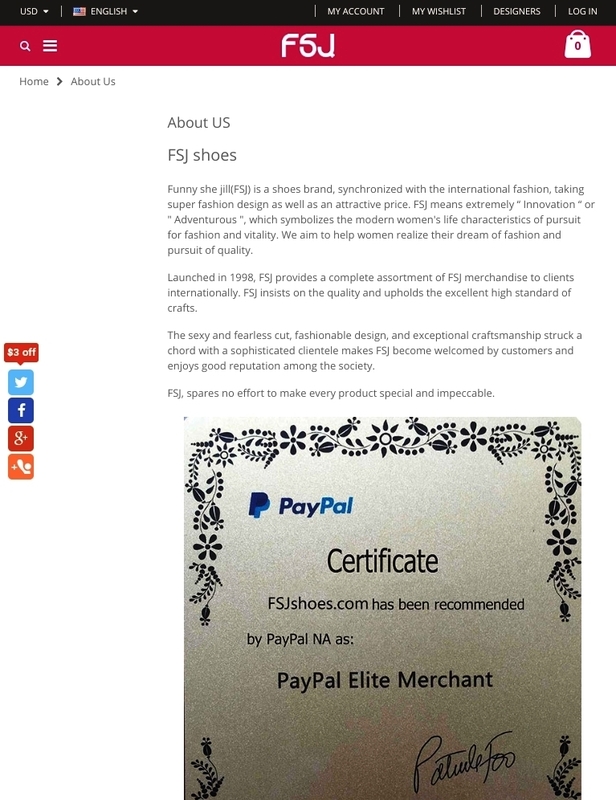 FSJ says, their shoes are not generally made of leather. 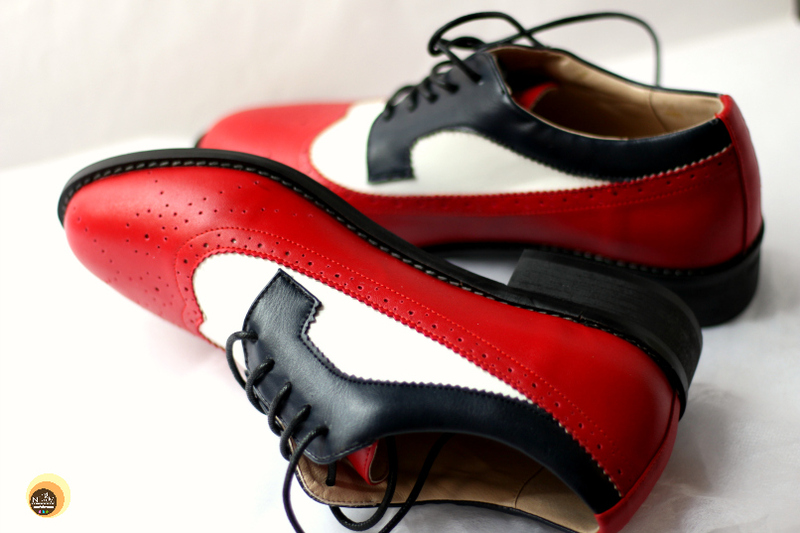 The shoes are made of PU leather to bring out the actual colour and shape them better. 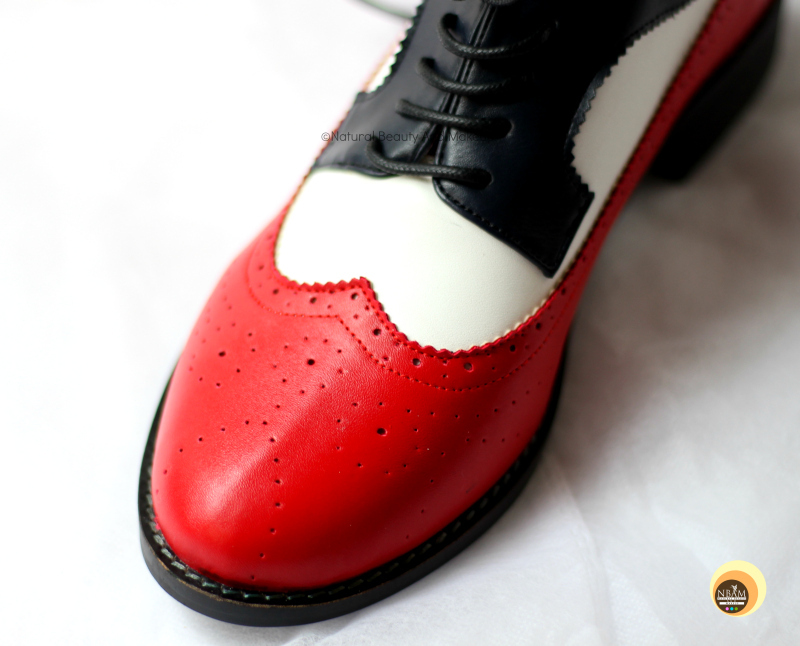 So if you are looking out for pure leather shoes, they can customize it for you and here comes my next point! Customization: The best thing about FSJ is it offers customization service to its customers. 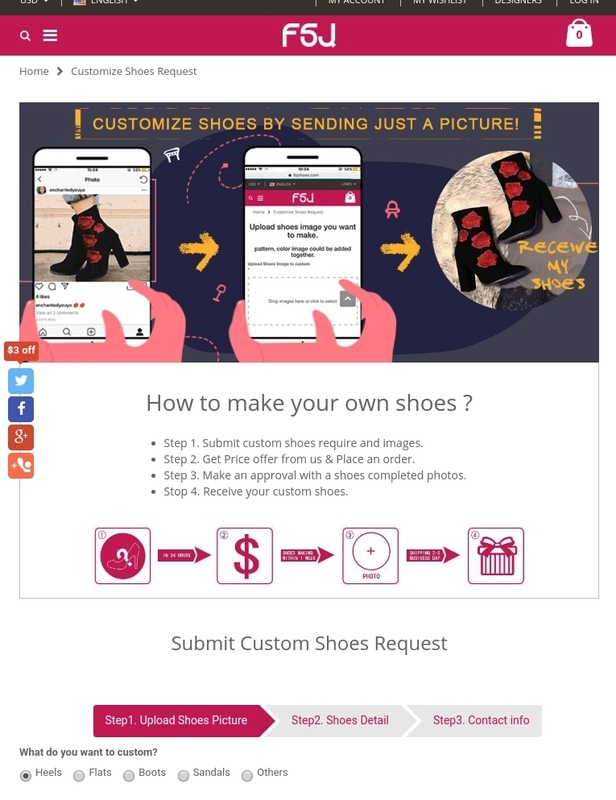 The process is pretty simple- you need to submit your preferred shoes image to them and get a price offer from the brand. Then place an order, check the image, approve and receive your shoes. How easy! Price: I won’t say, their shoes are super affordable or inexpensive but yes they are available at fair and accessible prices. Sale Offers: And last but not the least is their year-round SALE offers – the sole reason behind my fondness of online shopping! Haha! FSJ website has dedicated Flash Sale section where they run all kinds of discounts and offers for their beloved customers. You can’t miss it out! 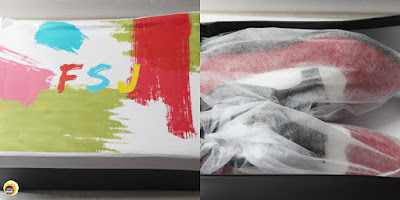 Funny She Jill (FSJ) brand houses the hottest on-trend footwear collection and also addresses the fashion needs of the urban crowd by providing the high-quality fashionable shoes, customization service and lucrative offers. 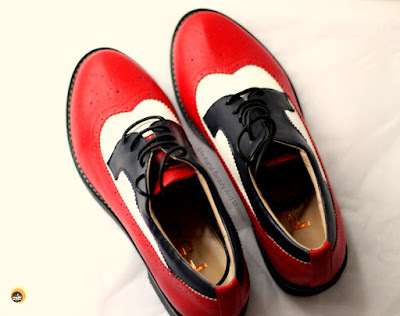 I am in love with my lace-up flat oxford brogues by FSJ as they are comfy as well as funky. These multi-coloured sophisticated lace-up women’s oxfords are perfect accessories to take your fashion game one level up! I have already made a small shoes-wish-list for my next shopping with them. What are you waiting for? 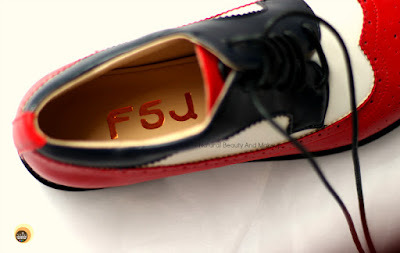 If you are looking to buy a gorgeous pair of shoes for yourself or close ones, then look no further than FSJshoes.com. Happy shopping! P.S: PR Sample but all opinions expressed here are my own and 100% honest! A few facts I’ve added from FSJ official site. Do You Have Any Experience With FSJ Brand? If Yes, Then Please Share With Us In The Comment Section Below. What a fun and bright pair of shoes! I need to get a pair of casual lace up shoes because ballet flats don't do well in the rainy weather. Those shoes are everything. EVERY THING! I love that old school vibe, and I love how versatile they are. They're super cute. Yeah, can wear these with almost all kinds of outfits 🤗 thank you! Oh yes, do check out FSJshoes collection ☺☺ Thank you! I am a sucker for oxfords. The can be worn in so many ways! Casual with jeans for a pop of colour and with a power suit for a hint of elegance. Funny She Jill will be the website I go check out. Absolutely, Oxford brogues are super versatile 💕 yes, do check out FSJ site ☺ Thanks! A jump in the 20s with these adorable quality shoes, original color! These are pretty cool and look so fun! I'm wary about ordering shoes online because of the fit so I'm happy to hear these fit just right. Wow! they look so pretty! I loved how the red popped. I really like the colors on these shoes! My high school colors were red, white, and black so I would have been all over these for spirit days. My shoes consist of one pair of flip flops (for almost every day wear), one good pair of sneakers, and one pair of nice shoes. That's about it! The shoe looks lovely and the color is beautiful. I also like comfy shoes. Will check their brand out. Wow such an attractive colour shoe. I will love to have a pair. Will check them out. Those shoes are so cute and colourful. I have never shopped for shoes on-line. Perhaps it's time. What a gorgeous looking shoes. The color looks fabulous and it has a very unique design. Wow! Oxford style flat lace-up shoes with full brogue detailing looks amazing. I love wearing shoes and now I need to put it in my cart...love Oxford style shoes. These shoes are so super stylish. Red is my favorite color, so you definitely have me on these! oxford havent really been my style but these are really cute. they look well made! Those are super cute on you! I dont think I could pull them off but I love them! I love this style of shoe. It's definitely one of my favorites. Like how you styled them. These are so different but beautiful! I love a good statement piece to an outfit. Yes I definitely agree with that quote from Marilyn Monroe. I do like the color of that shoes and it looks lovely on you. I really really love these shoes. They are so cool! Those shoes are so unique wow! I'm impressed as well as I find oxford style shoes to be generally uncomfortable,glad to see brands putting more thought into comfort! love love love the style of these shoes!!!! They would be so cute for an old school theme party or date! I like the red and black color too! I've never thought about wearing shoes like these! These are so cool! My goodness these are some seriously awesome shoes! I tend to be a sensible hiking boots kinda gal, but I'd totally wear these. You know I have a newfound love for oxfords. They are so classic and fashionable!